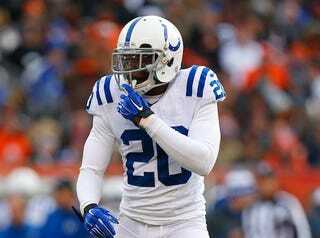 Darius Butler is a defensive back for the Colts, but he played for the Patriots in 2009 and 2010. He has no relation to Patriots defensive back Malcolm Butler, whose interception sealed a Super Bowl win for New England. A few excited fans on Twitter mixed up the two players after the game, and Darius played along for everyone's amusement.